Remember how I told you that I switched from oil painting to painting with acrylics on canvas, well this is one of those paintings. 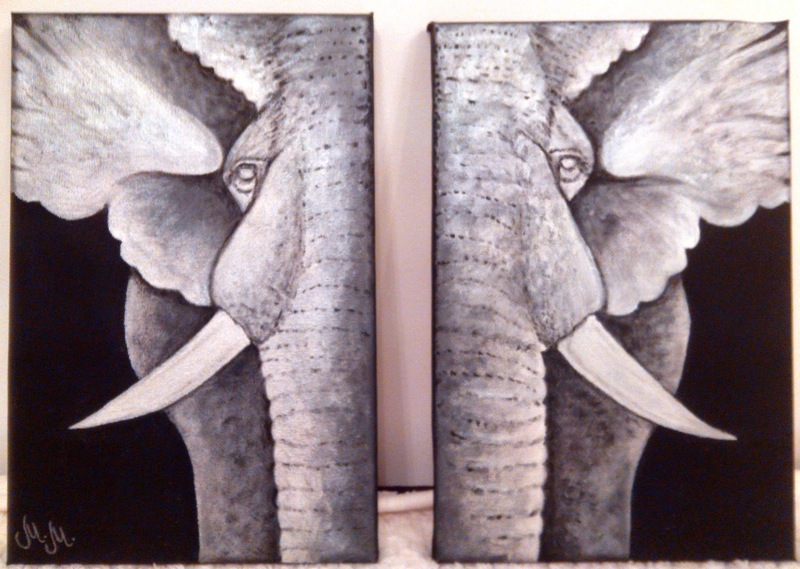 I don't know why but I went with black, white and grey combo for the elephants this time, so unusual for me when it comes to painting, I'm all about the colors ;) I did them on separated canvas cause it leaves you to choose - is it one elephant or they are a pair?! Anyway this is the first time I put my initials on the painting cause since I got married I just felt weird about that part, it's still the same me painting but with the different name? I mean what do you do, change your name in every aspect of your life? I guess I'm weird like that, and I'm creating an issue without actually being an issue ;) or maybe I just need an artistic name, he he!